There will be plenty of free time to walk the beach, swim in the ocean, relax in a hammock, nap and just hang out! 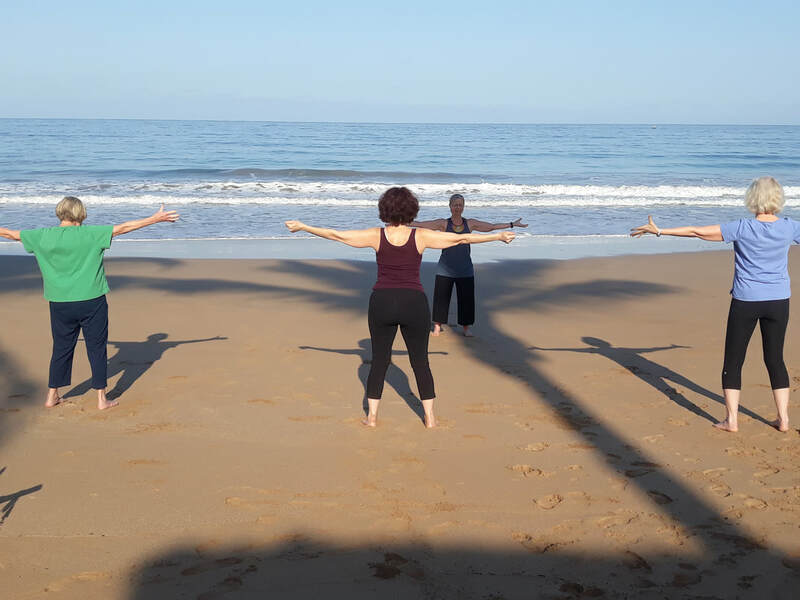 Marsha Warren, instructor of qigong, yoga, functional fitness and wellness practices, and Janis Post, leader of creative process art exploration workshops, have teamed up to offer you a winter's end retreat by the sea. Join us! 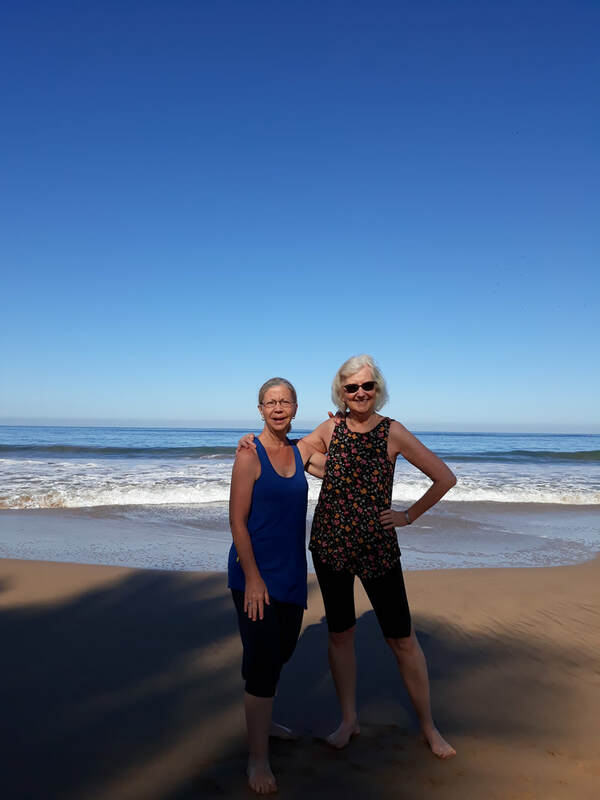 My earliest memories are of the sense of freedom and connection that I felt as a barefoot child growing up in the Indiana Dunes - running along the lake shore, toes in the sand and head in the clouds. 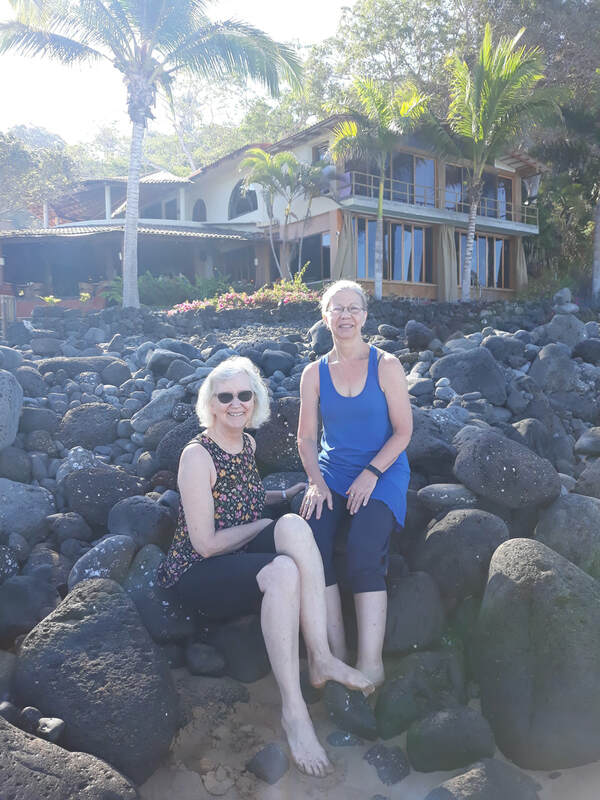 I went on to fill my life with the observation and study of how we live, feel, think, move, communicate, and interface with the world kinesthetically - our experiences, emotions, senses, minds and bodies working as a whole. While studying multiple disciplines such as dance, the arts, humanities, and sciences, the importance of an integrative approach became clear. My evolution toward a holistic view evolved naturally. Following this path, I began to study Asian therapeutic bodywork, movement, and wellness practices. 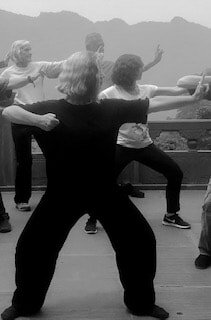 The theories, philosophy and techniques of traditional Asian health maintenance have become the focus of both my personal and professional life. How we inhabit our bodies and the spaces we move through, how we live within our physical, social, internal and external worlds, has everything to do with our sense of vitality and enthusiasm for life. I have loved dancing and painting since I was a child – I was that kid who would put a record on the stereo and dance around the living room. My childhood painting experience consisted of color by numbers and a neighbor who introduced me to oil painting. As a theatre major in college, I began painting scenery, which influenced my love of color, texture and form. 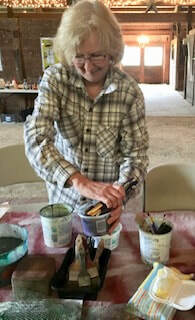 I believe that creative expression is an integral part of human existence. Too many of us have been fed the belief that you have to be "good" (or worse, "perfect") at something in order to even attempt to pick up a brush, dance, or any other form of creative expression. 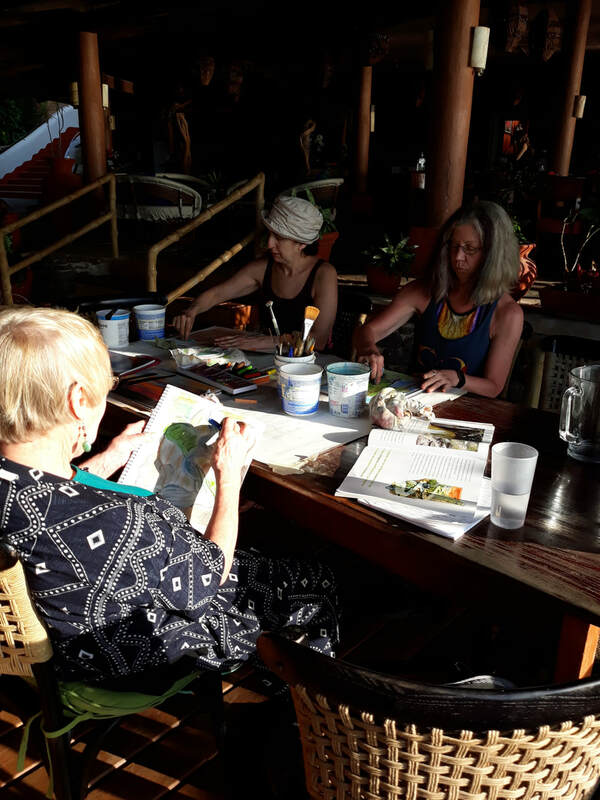 During our retreat in Mexico, we'll play creatively, using friendly, accessible mediums such as watercolor, oil pastels, charcoal, pencils, and collage. I'll demonstrate different methods of working with those mediums, and you'll have plenty of time to explore, and enjoy the process of playing expressively and creatively. Our goal is to discover the joy from the process of creating, without judging ourselves or our creations. "The worst enemy to creativity is self-doubt."